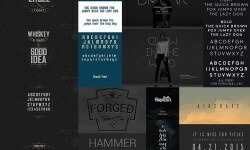 Typography is considered very important for designers. Considerable amount of time is involved and is devoted towards finding the right font, spacing and size. Suitable color combination is also a major aspect to be considered for designers. A right combination of color and typography gives the project the final and correct shape and design. 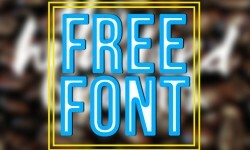 All fonts are available free for commercial and personal use. You can use high quality fonts in a logo, tattoo, badges, emblems, posters, Packaging, t-shirts/clothing, greeting cards, and wedding invitations, etc.